Off-grid Solar power generation system including solar panel array, PV Combiner box, solar charge controller, battery group, Off-grid inverter, etc. In the sunshine, the solar panel array convert solar energy to DC energy and charge to the battery group by the charge controller. And convert the DC to AC for the loading through off grid inverter. The PV charge controller is a smart device which designed for off-grid PV power system. It has great running performance with LCD display and convenient operation. 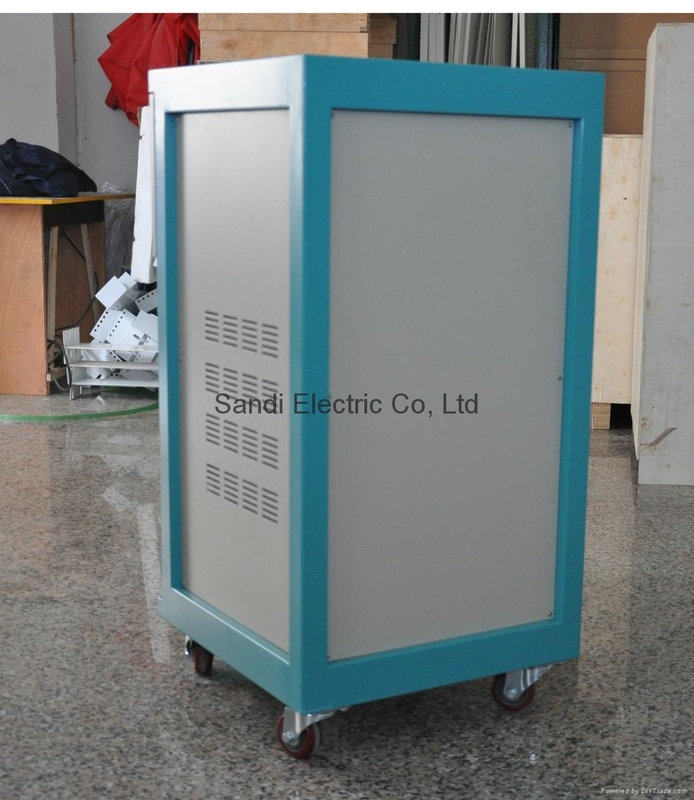 The controller also automatically control cell cut or connect ordinarily according to the change of battery voltage. 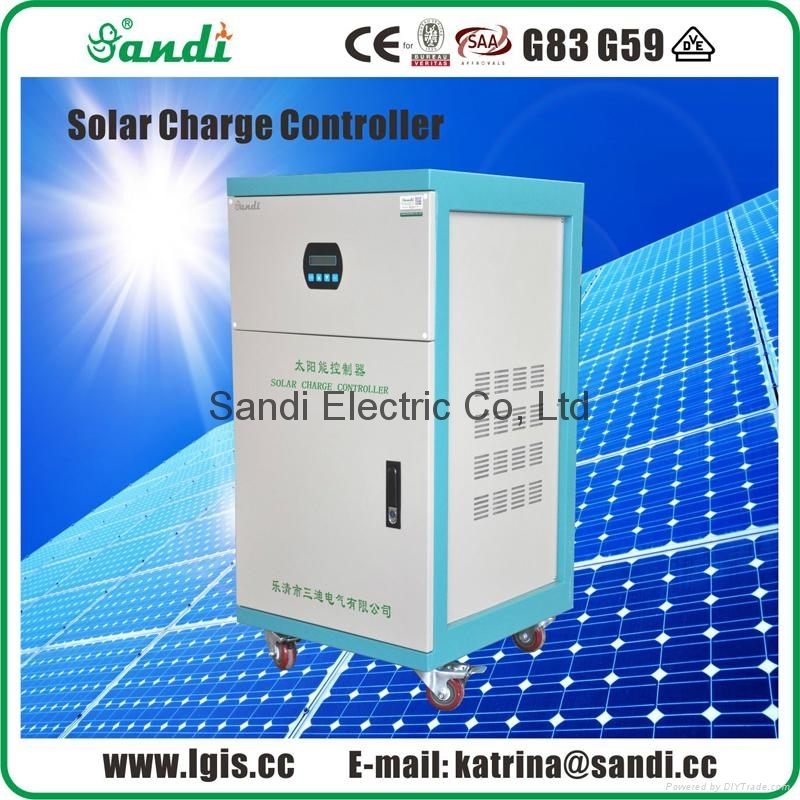 The charge controller is very important for solar power system, the performance will affect the life of system directly, especially the battery life. Anyway, the battery’s life will be shorted when battery being charged or discharged. The SDC series PV charge controller adopts PWM charge model which can improve battery life greatly. The controller is widely used for independent off grid solar power system, such as telecommunications base stations, fishermen and herdsmen of electricity, as well as PV power supply in remote mountainous and border. 2. It adopts 32-bit processor core which has high speed and high performance. 3. The high-precision sampling will ensure the accuracy of sampling. 4. The complete system protection includes: overcharge, over discharge, overload, short circuit, anti-reverse, lightning and others. 5. 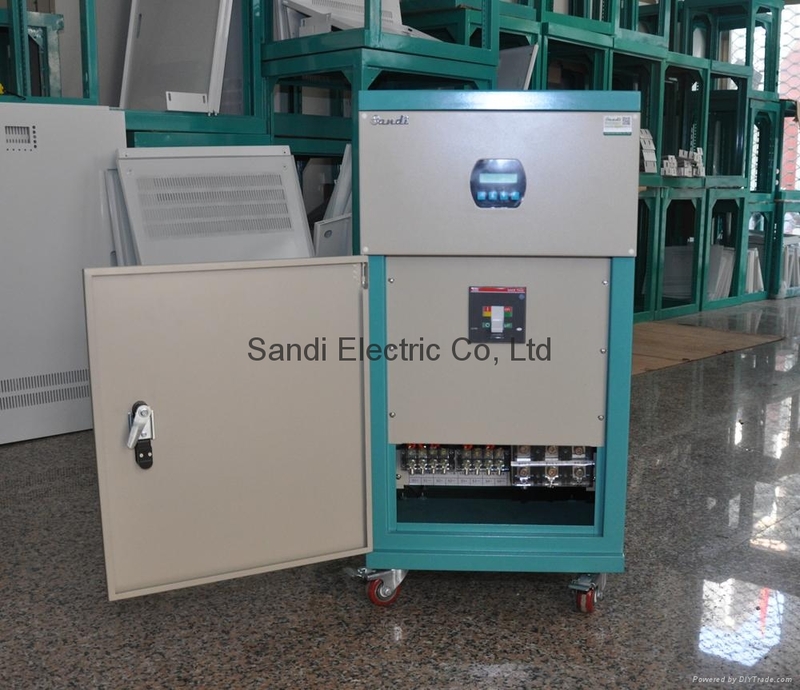 The IGBT power module can improve the stable and performance of the controller. 6. 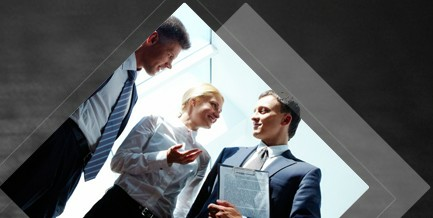 LCD will display the system status and parameters of the system. 7. Prosessional users can set the working parameters according to different battery and working environment. 8. It adopts industrial-grade chips to ensure the stable and feature of the controller. 9. The control circuit is completely isolated from the main circuit, so the controller has a high anti-jamming capability. 10. There are two fans and big heat sink make sure the temperature in good condition. 11. Users can parallel connect lots of the controller in a system. 12. DC output function (Optional). 13. Standard Modbus protocol for RS-485 communication (Optional). 14. It will alarm when the system status is abnormal. 15. It has self-regulate for voltage drops and temperature effects in solar systems. 16. There is lightning protection device inside the controller. Limit instantaneous over-voltage which entered into solar panels under a level which the system can withstand; or unload the strong lightning current to the ground. To protect the equipment from lightning surge. 17. There is temperature compensation function which will compensate the temperature according different battery type.